Chips and guacamole is everyones favorite part of eating Mexican food. This recipe for my signature guacamole comes with a Culinary Ginger spin. This is recipe #2 in my series of Cinco de Mayo recipes that make up a complete meal. Monday we had Baja style fish tacos and the fun finale, lemon-lime margarita. 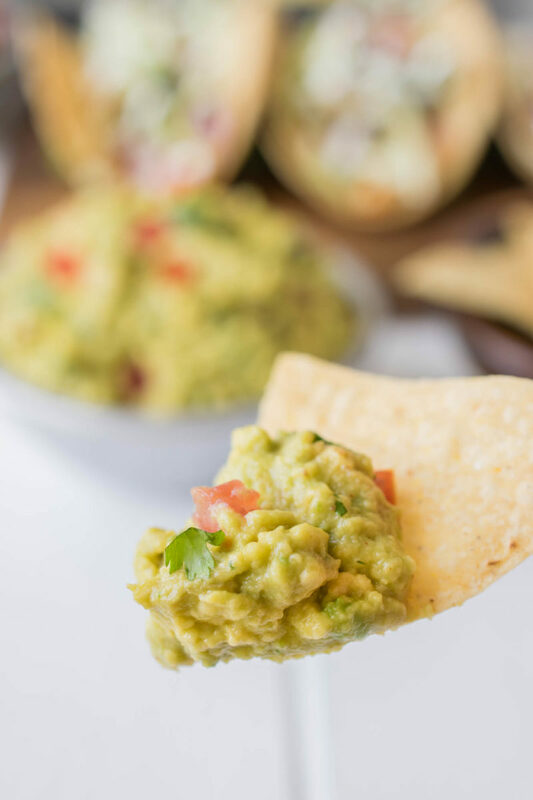 This recipe is my signature guacamole that I make whenever I’m making Mexican food or entertaining, or just craving chips and guacamole and this happens pretty often. Everybody has their own recipe for making guacamole how they like it. Some add red onion, some add fruit, the possibilities are endless. My signature guacamole is pretty run-of-the-mill with fresh lime, cilantro and chopped tomato, but the surprise is… Tabasco chipotle sauce. 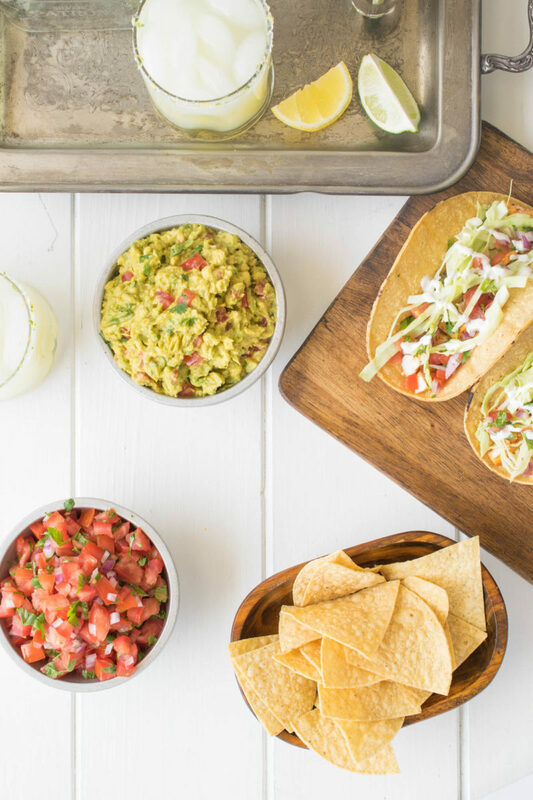 The sauce gives the guac a kick that you can control from mild to spicy and it adds a delicious smoky edge. I’ve been making it this way for years and it’s loved by everyone who eats it, so I see no reason to change it. 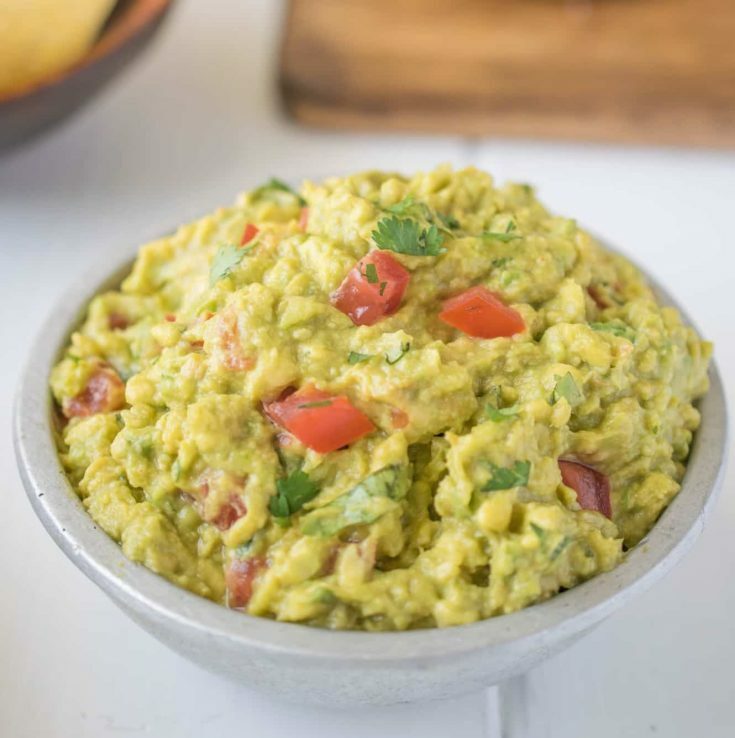 There’s only 1 problem with this guacamole, it seems I never make enough because it’s always gone so quickly and there’s always leftover chips, so make a double or even triple batch because there will be more chips than you have guacamole. I just found out that April is stress awareness month. This is a great reason to eat as much guacamole as you can because avocados contain stress-relieving vitamin B. So what are you waiting for? Getting your guac on! 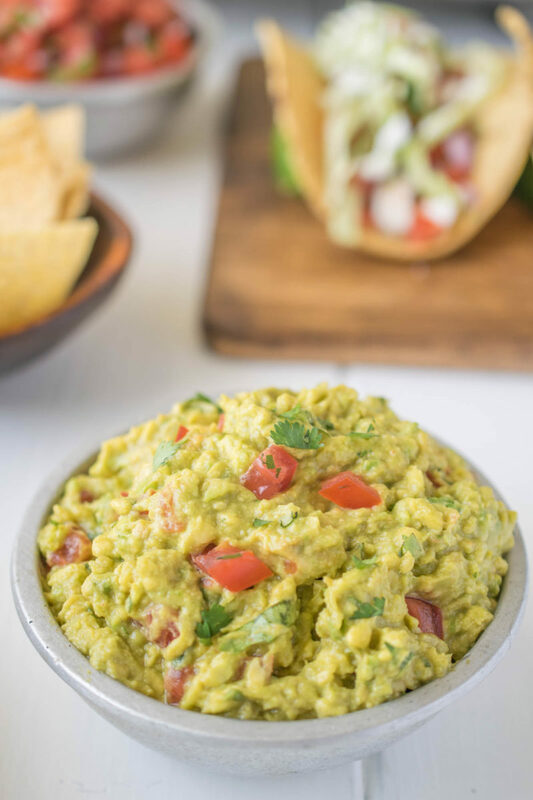 If you’ve tried this Signature Guacamole or any other recipe on the blog then don’t forget to rate the recipe and let me know how it turned out in the comments below. 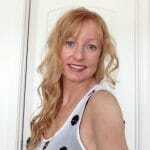 I love to hear from my readers! 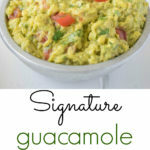 Signature guacamole gets a flavor boost from chipotle Tabasco sauce. Add the avocados to a bowl and mash to your desired consistency. I like smooth with a few chunks. Stir in the lime juice, cilantro, tomato, hot sauce and salt. If you like it spicier, add more sauce. Tried the recipe, and it is delicious. Definitely will make again. Tastes delicious. Thank you so much for the great feedback Rahul. Anytime you make guacamole, please feel free to invite me over! hee hee Your recipe looks fabulous! I’ll be making it soon!